The authentic GAS Mods Nixon V1.0 RDTA is a mini size RDTA and features invisible airslots. 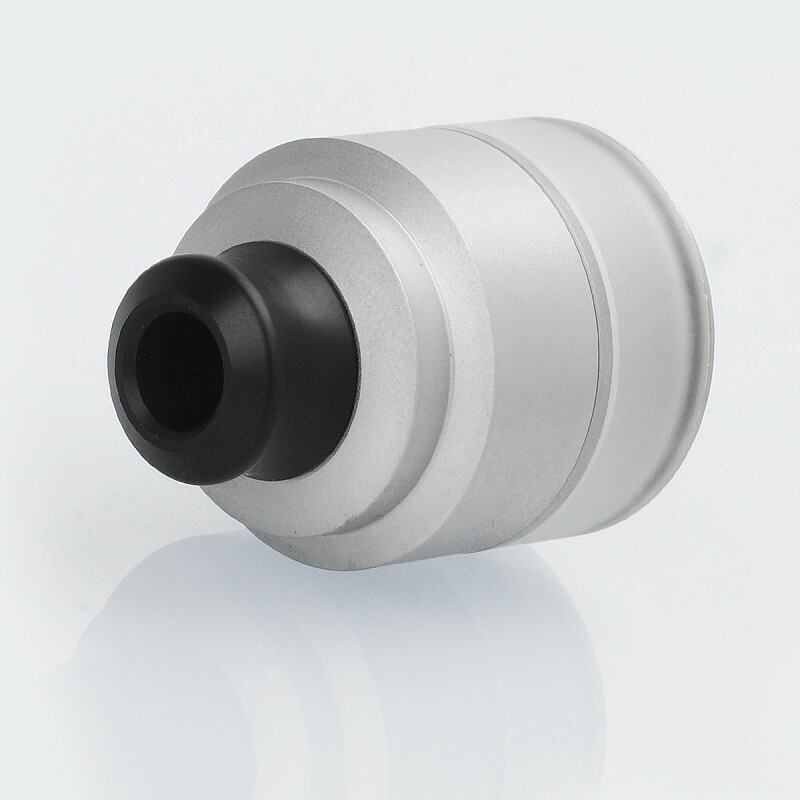 The airslots will appear once you rotate the top cap clockwise and the airflow can be adjusted in this way. The deck features dual post for single coil build. 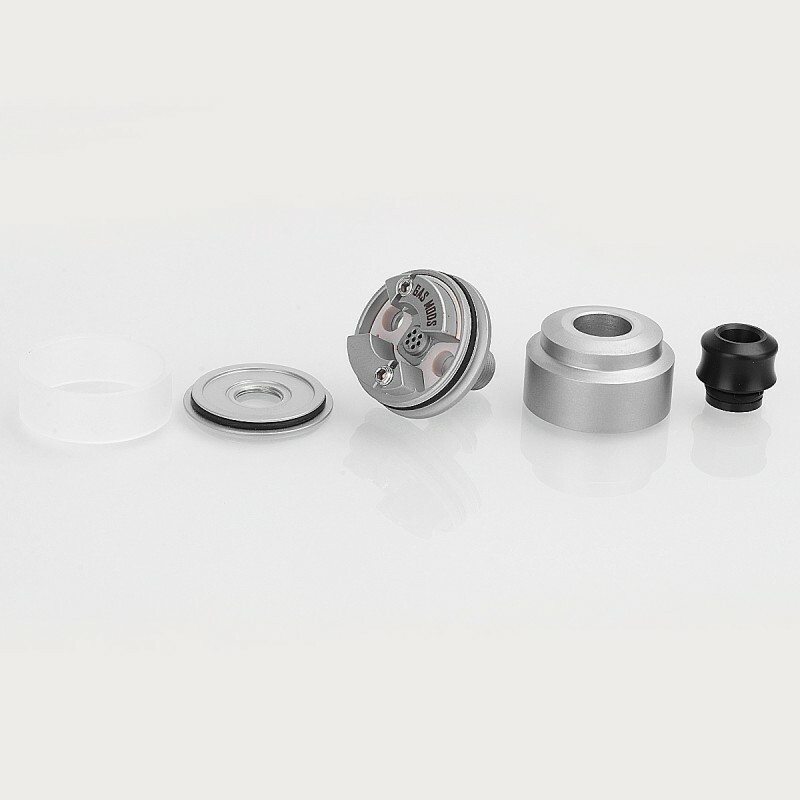 The tank comes with 510 POM drip tip. 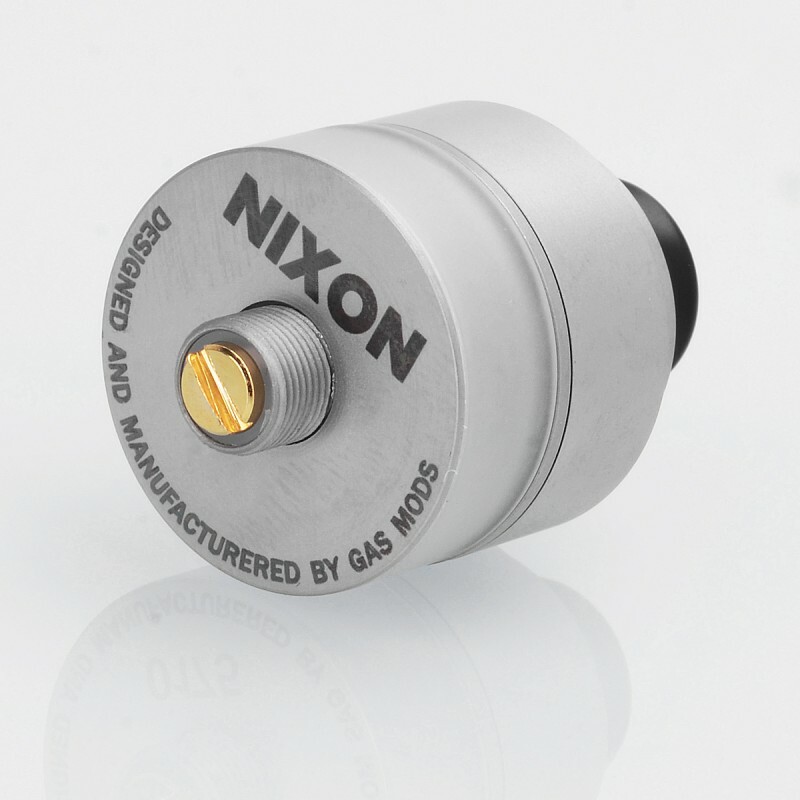 The Nixon V1.0 comes with smaller vapor amount than Nixon V1.5. 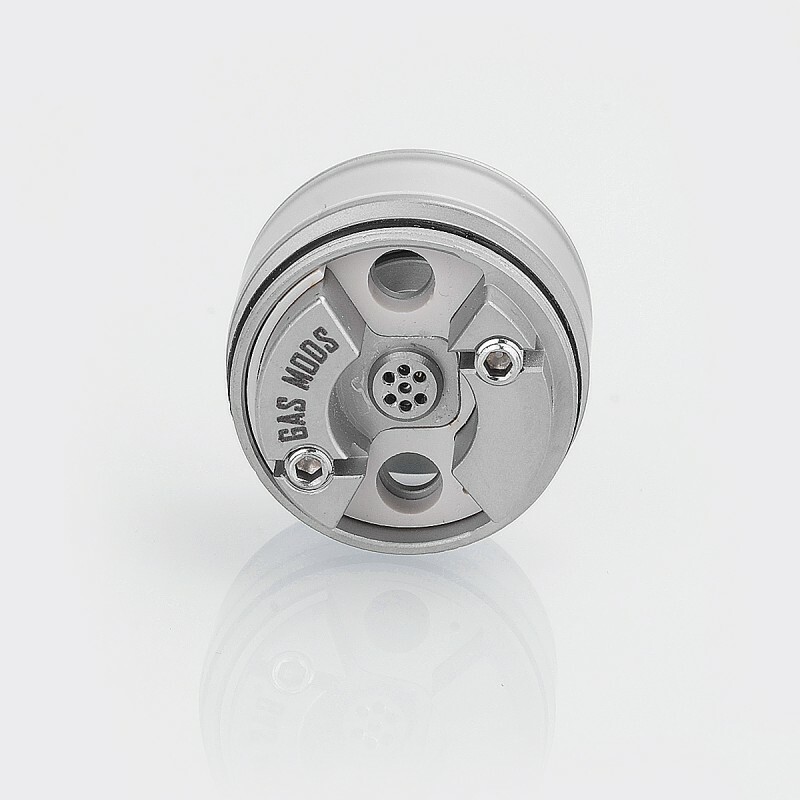 It will bring you mouth-to-lung vaping experience. 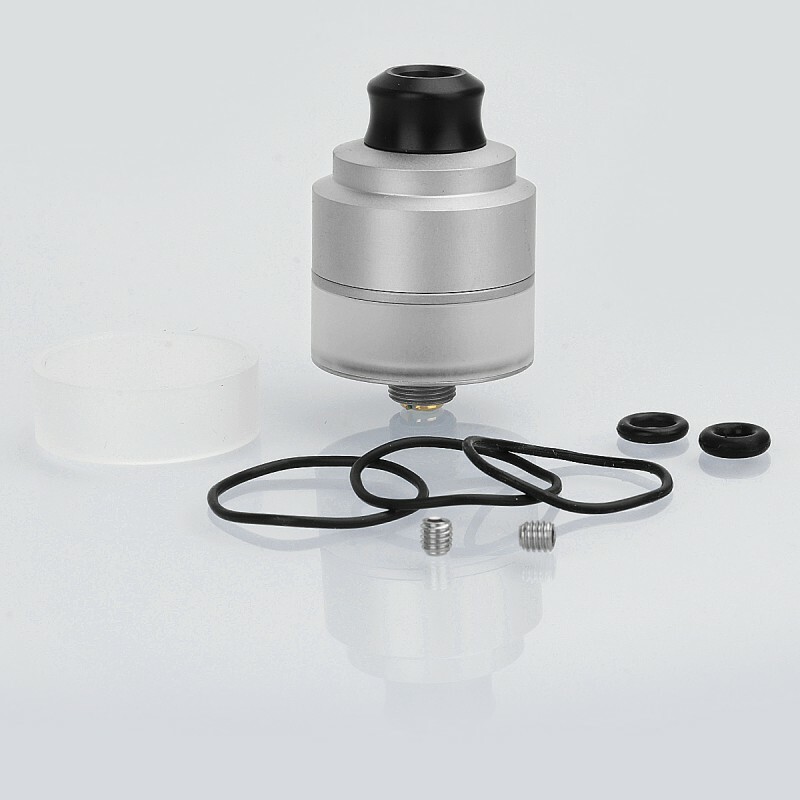 Please Note: The RDTA supports airflow via screw up the top cap. And please be careful because the top cap is reverse threading. 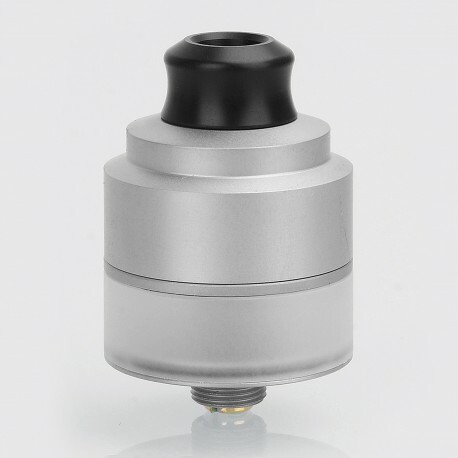 Please Note: The Nixon V1.0 RDTA is wihtout BF pin and does not support bottom feeder. Bottom feeder pin not included? Where do you fill liquid?